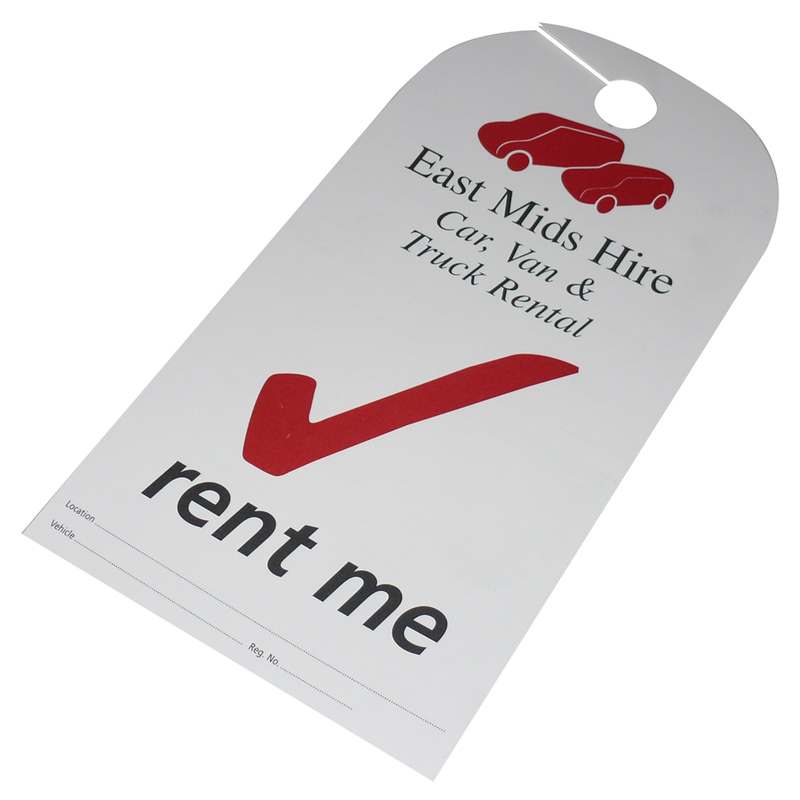 We can supply car rear mirror tags, perfect for car lots, car servicing, car rental and car parking services. Please contact for more details. These can be cut to your required shape. Carbon copy layers applicable too. Beckdale design and supply retail car rental/car lot tag. Beckdale.co.uk employees assist throughout, helping shops design bespoke car rental/car lot tag. To start designing your choose by material or different styles of , connect with our offices using your preferred method.